Naloxone, commonly known as Narcan, reverses the effects of opioids, allowing an individual experiencing an overdose to breathe normally. Given early enough, along with other first aid tactics, Naloxone can reduce the morbidity and mortality related to opioid overdose. Instances of opioid overdose have reached epidemic levels in New England, as well as other parts of the country. In 40 states, including Rhode Island, opioid overdoses exceed motor vehicle accidents as the leading cause of accidental death among adults. The construction industry is disproportionately affected by this crisis. A recent study conducted by the Massachusetts Department of Public Heath found that construction workers accounted for more than 24 percent of opioid-related deaths and were six times more likely to die of an opioid overdose than the average Massachusetts worker. Earlier this year, Gilbane personnel working in Rhode Island were trained by the RI Department of Health’s Overdose Prevention Education Director, Erin McDonough, in the administration and usage of Naloxone, as well as to recognize the signs and symptoms of a potential overdose. Today, job sites throughout the state are equipped with this life-saving medication. 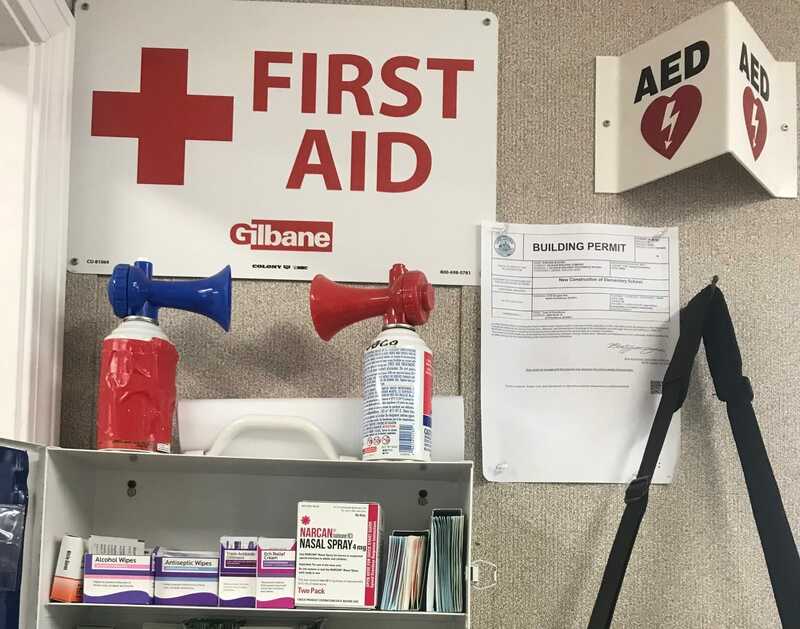 Outlined within the memorandum of understanding between Gilbane and NOPE-RI is the agreement between entities to implement the “Naloxone Rescue Kit” program, which equips job sites with the necessary materials and training to successfully utilize the tool should the occasion arise. For their part, NOPE-RI have agreed to provide protocols for treatment and storage of the medication, as well as the proper training and education to allow the program to be successful. Gilbane Building Company remains committed to the safety of our teams, our job sites, and the communities in which we live, work, and build. Through long-standing partnerships with the Rhode Island Building Trades Council, led by Michael Sabitoni, and UA Local 51 of RI, we continue our work to maintain safe project sites to proactively reduce the threat of injury. By providing Naloxone to aide a job site team member who may experience an opioid overdose while at work, we hope to confront this national crisis head on. Gilbane provides a full slate of construction and facilities-related services – from pre-construction planning and integrated consulting capabilities to comprehensive construction management, general contracting, design-build and facility management services – for clients across various markets. Founded in 1873 and still a privately held, family-owned company, Gilbane has more than 45 office locations worldwide. For more information, visit www.gilbaneco.com.